Join Jason Krumbine, author of The Grym Brothers Series, Two and a Half Dead Men, The Dead Couple and Better off Dead (One Stray Word Books), as he virtually tours the blogosphere November 1 – 23 2011 on his first virtual book tour with Pump Up Your Book! You can visit his website at www.jasonkrumbine.com or visit him at Twitter at www.twitter.com/jasonkrumbine and Facebook at www.facebook.com/jmkwriter. You can also email him at onestrayword@gmail.com. But not all of the souls can or want to move onto the afterlife. That’s where the brothers Thane and Mort Grym come in. Thane and Mort are bounty hunters for dead souls. They inherited the job from their father and they’re two of the best in town. But when there’s a double homicide at the Kirkland Motel the Grym brothers end up with more than they bargained for. In a world without vampires, zombies or the undead, one of their bounties might not be as dead as he’s supposed to be. Jack and Cindy were a happily married couple. She was an elementary school teacher. He was an aspiring children’s book author. They had the perfect life together, until the day they decided to kill themselves. Suicides, by their very nature, tend to head directly into the afterlife. Jack and Cindy’s souls never arrived. Grim Reapers are real. They are governed by the Council of Reapers. Reapers are responsible for the capture and containment of dead souls that refuse to or cannot move on to the afterlife. Thane and Mort Grym are two such reapers. They say dead men tell no tales, but that’s just because they’ve never worked as a Grim Reaper. Lori Standford’s mother died six months ago. Now she’s back, haunting Lori out of her home. Lori turns to her close friend, Emma Grym, mother of Thane and Mort Grym, for help. Now Thane and Mort find themselves embroiled in a mystery of dead men that stretches all the way to the top. Join Jason Krumbine at the Pump Up Your Book Live! November Author Chat / Book Giveaway Party on Friday, November 18 starting at 8 p.m. eastern! Jason will be giving away three e-copies of his books in The Grym Brothers Series! You could win a copy of Two and a Half Dead, The Dead Couple and Better Off Dead simply by attending the chat and asking Jason a question. All there is to it! For details on chat, visit the official chat page for the November authors at Pump Up Your Book Live! Please show your support for such a talented author by visiting his official tour page at Pump Up Your Book by clicking here! Dr. Mitchell Gibson is one of the world’s leading authorities on the interface of science and the frontiers of human consciousness. He is the best-selling author of Your Immortal Body of Light, Signs of Mental Illness, Signs of Psychic and Spiritual Ability, The Living Soul, Nine Insights For A Happy and Successful Life, and Ancient Teaching Stories. He has delivered addresses to many of the world’s largest conferences related to science and consciousness. These include, The International Science and Consciousness Conference, The Sivananda Ashram Annual Symposium, International Institute of Integral Human Sciences, The SSGRR-IT Conference on Advances in Electronic Medicine in Italy, The Southeast Regional Unity Ministers Conference, The Northwest Astrological Association, The American Federation of Astrologers and many others. Dr. Gibson has been a consultant for Fortune 500 companies, Hollywood celebrities, professional athletes, A&E Network, NBC, ABC, and CBS regional affiliate television stations, newspapers, radio stations. Dr. Mitchell Gibson will be on a virtual book tour with Pump Up Your Book Promotion Virtual Book Tours in October and is here with us today to give his impression of virtual book tours and online book marketing. Thank you for this interview, Mitchell. Can we start out by having you tell us briefly what your new book is about? 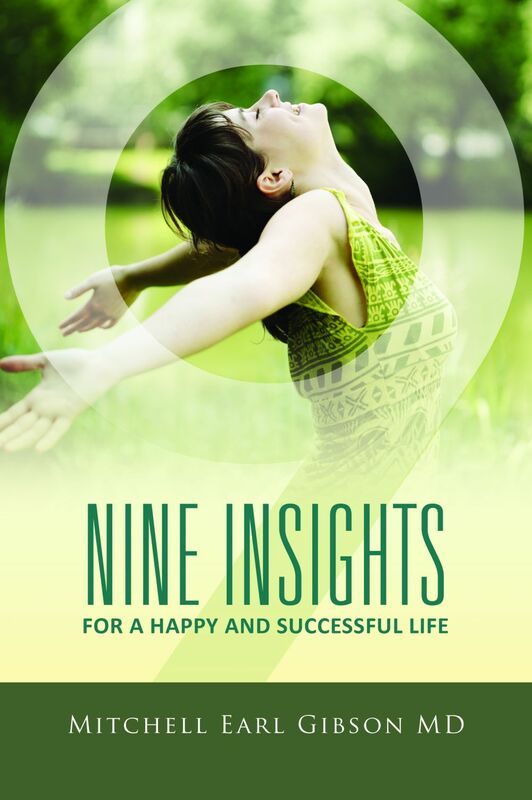 Author: Nine Insights For a Happy and Successful Life is a book that I have wanted to complete for some time. The book looks at a number of insights into success and emotional fulfillment that I developed during the course of my years in medical practice. Author: I have done a number of brick and mortar tours in my time. The response to the tours varies widely with the organizer and the venue. Some tours were packed with hundreds of people. In some tours, I was lucky to get ten people to show up. With virtual tours, that sort of guesswork is taken out of the equation. All of my interviews will be posted online and they will be archived. That fact alone makes it worthwhile. Author: Honestly, I had never heard of virtual tours until a few months ago. I think that it is a wonderful idea, especially with the decline in the number of venues in which an author can hold a book tour. Author: More visibility for my work and my books. I want the audience to get a sense of who I am and what I do. Author: My experiences with offline signings have been varied. I prefer online signings by a wide margin. I like the efficiency and the wide distribution possibilities. Author: I would hire William and Morris. Thank you for this interview, Mitchell. Do you have any final words? I am completing two books. One is a sci-fi fantasy entitled The First Darkness. It is a story about an angel that develops a fatal illness and comes to earth in search of a cure. The second is a follow up to Ancient Teaching Stories. It is a book that contains a series of concise and thought-provoking stories from a number of spiritual traditions from around the world. People usually say they do virtual blog tours because they can stay in their p.j.s to do them. Sure you can, though I don’t, and there are a lot better reasons to take a virtual blog tour. For me, they don’t replace my in-person promotion—but they certainly do enhance what I’m doing to promote my book, and a blog tour reaches far more people. When I first did one, I thought it was a novel idea (no pun intended) and it might be fun to try. Blog tours are fun, but they are also a lot of work. An author must come up with something different to say for each post for the many stops on the blog tour. You hope, at least I do, that some people may follow you around from place to place on the tour, and you want to have something interesting to read or learn about you at each stop. Of course the idea behind the tour is to promote your book, so some of the posts will be about the book: how you came to write it, the characters, the setting, research you had to do, the road to publication, what your promotion plans are, and perhaps what’s next. Hopefully, what you’ve written will entice the reader to buy your book. Another plus of blog tours, is that some of the hosts or hostesses want to review the book. The more good reviews you can get for your book the better—you can use them to continue with your promotion after the blog tour is over. For a blog tour to be successful, each stop must be promoted on Facebook, Twitter, any other social network that you frequent and any lists that you’re on. You should promote at different times during the day. Okay, now you probably want to know what the benefit is for all this work. What I’ve found is that people do buy books from what they’ve learned on a blog tour. One way you can check is to belong to Author Central on Amazon—of course you’ll only find out about a certain amount of sales. You also can check the numbers on your book at Amazon and if they go down, that means sales have occurred. Both of my publishers let me know via the royalty statement where sales came from and the time period. That makes it easy to see if a particular blog tour helped with sales. Will I continue to do blog tours? Yes, of course, I will. It’s a great way to get information about my latest book out to the largest amount of people. And right now I’m on a blog tour for my latest Deputy Tempe Crabtree mystery, Bears With Us. And from all the other online bookstores and can be ordered through any independent book seller. 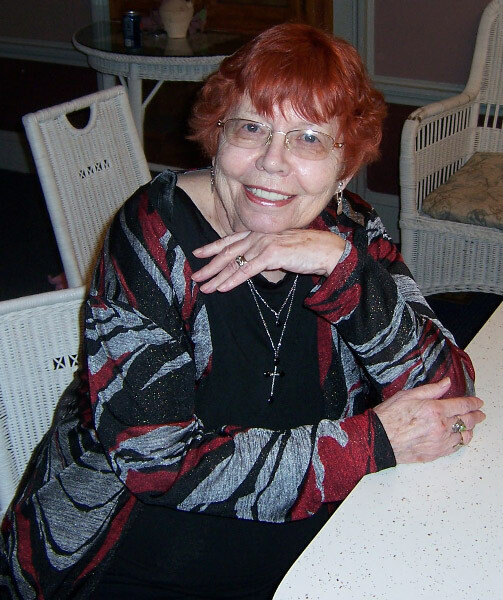 Marilyn Meredith is the author of over thirty published novels, many award winning, including the Deputy Tempe Crabtree mystery series. Bears With Us is the latest release. Writing as F. M. Meredith, her latest Rocky Bluff P.D. crime novel is Angel Lost, the third from Oak Tree Press. Marilyn is a member of EPIC, Four chapters of Sisters in Crime, including the Central Coast chapter, Mystery Writers of America, and on the board of the Public Safety Writers of America. She’s also a been an instructor at many writing conferences including the Maui Writers Retreat, Central Coast Writing Conference and many others. Visit Marilyn online at http://fictionforyou.com/ and her blog at http://marilynmeredith.blogspot.com/. CONTEST DETAILS: Would you like to be immortalized in print? 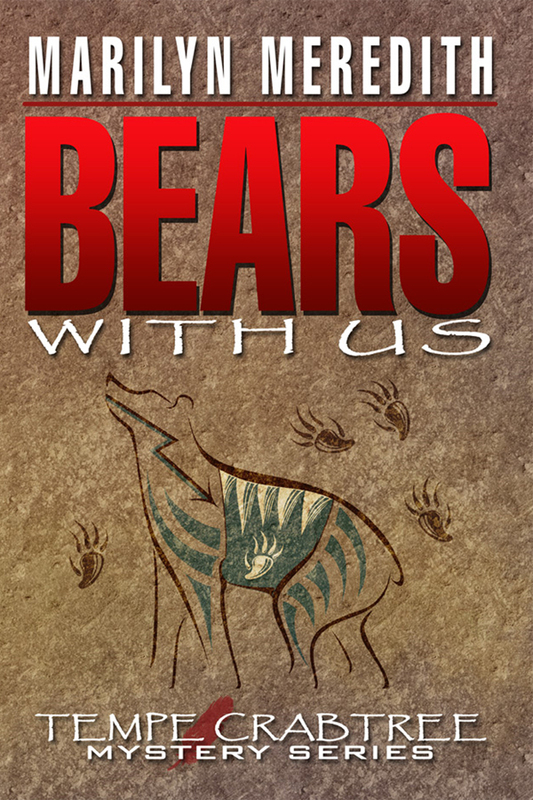 Marilyn Meredith is running a contest during her BEARS WITH US virtual book tour. Whoever leaves a comment on the most blog sites during the tour, will have his or her name used for a character in Marilyn’s next book. Please visithttp://www.pumpupyourbook.com/2011/08/11/bears-with-us-virtual-book-tour-october-2011/ for her entire schedule. Good luck! Peter Murphy was born in Killarney where he spent his first three years before his family was deported to Dublin, the Strumpet City. Growing up in the verdant braes of Templeogue, Peter was schooled by the De La Salle brothers in Churchtown where he played rugby for ‘The Wine and Gold’. He also played football (soccer) in secret! Murphy also tramped the roads of Europe playing music and living without a care in the world. But his move to Canada changed all of that. He only came over for awhile – thirty years ago. LAGAN LOVE is his first novel. You can visit his website at www.peterdamienmurphy.com or his blog at www.peterdamienmurphy.blogspot.com. 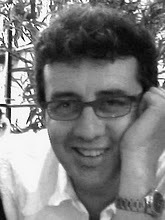 Connect with him at Twitter at www.twitter.com/PeeloMurphy and Facebook at www.facebook.com/LaganLove. Thank you for this interview, Peter. Can we start out by having you tell us briefly what your new book is about? 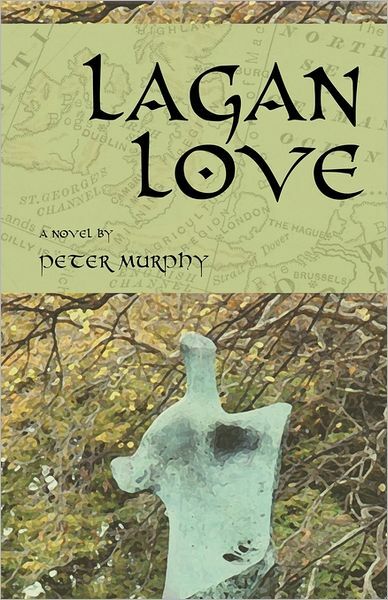 Lagan Love is a story of Love, Lust and Loss and all that we must pay for our dreams. It is set in Dublin in the mid nineteen-eighties when the future beckons and the past lurks in the shadows, preying upon the unsuspecting. Janice has come from Toronto to find validation as an artist. Aidan, Dublin’s rising poet, sees a chance at redemption in their love but risks everything when he takes her behind the veil of the Celtic Twilight where Ireland’s mythologies slumber. And when Fate turns on them threatening to destroy the lovers, and everything they strive for, they are truly tested. While Lagan Love has received some excellent reviews it is, for the most part, unknown. I believe in the book and want to bring it to the attention of a wider audience. As a first-time published writer, everything is new to me and I try to learn as I go. I came across virtual book tours during hours of pouring through blog sites, etc. I like answering the questions interviews offer but, as a writer, I am more comfortable writing so guest posts can be more fun. But to be honest – I have no preference. Reviews, particularly the good ones, are like music to the ears of a writer but it is good to interact too. It allows a writer to add that little bit more about themselves, or their work. Readers invest time and interest in the books they read and often want to know a little more. Virtual tours allow for this without having to get out and travel the miles that would be required otherwise. I was in a band for years and ‘going back on the road’ has little appeal. Sedulous Simplicity: and with a name like that you have to be impressed! I have not done any offline book signings as yet but I have been told that it is, in business terms – a very labour-intensive way of doin things. However, I might give it a try and let you know. That’s easy! I would put the band back together and do a concert somewhere large but with good acoustics and give free copies to everyone who didn’t clap along with the songs! Thank you for this interview, Peter. Do you have any final words? Yes! I would like to thank you for letting me drop by and don’t forget to pick up your copy of Lagan Love before they are all gone!